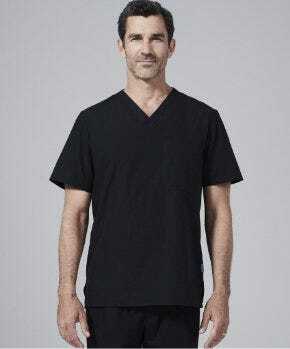 Medical uniforms play a key role in healthcare, as they allow patients and workers to distinguish between different fields or roles within a hospital or private practice. In the past, medical apparel was designed with extreme comfort as the top priority. Unfortunately, this usually results in drab, shapeless medical uniforms that don’t give the wearer a feeling of pride. Let us examine the evolution of nursing scrubs. In the early 1900’s the standard uniform for nurses was a starched white pinafore. While not very functional, these uniforms did reflect a level of professionalism as nursing started to become a more respected field. WWI marked a shift to drab, gray, cotton crepe uniforms because they were easy to wash and easy to mass-produce. WWI also brought about the emergence of white medical aprons, which were practical in that they allowed medical professionals the ability to treat more patients while staying (more or less) sanitary. Florence Nightingale, the first modern nurse. As time passed, nursing uniforms evolved to become simple white dresses with either long or short sleeves. Originally, scrubs were all white—to emphasize cleanliness. By the 1960’s many hospitals had abandoned white scrubs and replaced them with scrubs in shades of green and blue. These colors were more practical in that they reduced eye fatigue and were better at hiding stains. By this time, fashion was starting to become more relevant to medical uniforms. Medical professionals wanted uniforms that were both functional and flattering. Styling and details in medical wear are becoming more important than ever as these workers are realizing the powerful connection between outward appearance and inner confidence and poise. Medical professionals of today demand respect, and their uniforms should reflect their prestige. Because of this, we are now witnessing a rapid shift in the standard for medical uniforms. Medelita is proud to be a key driver in this paradigm shift. 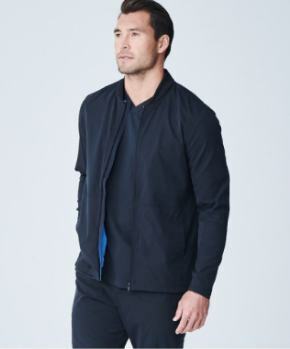 The new breed of consumers is a fashion-forward bunch who are more than aware of the importance of performance fabrics in their uniforms. 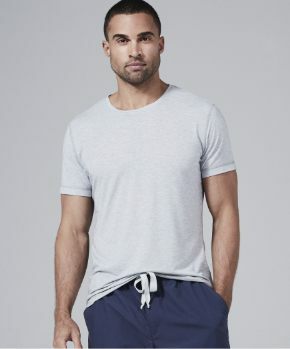 These consumers see performance fabrics in athletic wear, leisure wear—its past time to bring performance fabrics into the world of medical apparel. What a healthcare professional needs from the fabric of their medical uniforms is stain release, comfort, breathability, and easy care.  Medelita is happy to say with complete confidence that the fabric in our garments not only meets all these qualifications, but they exceed them. On the runways at New York Fashion Week, the success of a garment is all in the details. As with high fashion, medical professionals demand attention to detail and exceptional fit with their garments. Wearers of medical uniforms have an appreciation for the details and features in their work wear (or frustration about the lack thereof). 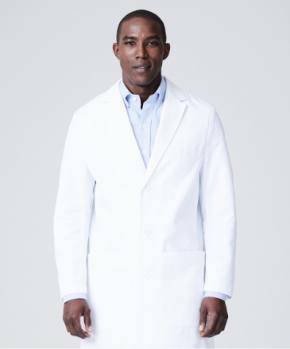 Medelita lab coats come with many utility features, including finished seams, plenty of pockets, a pocket to fit iPads, custom embroidery, and more. 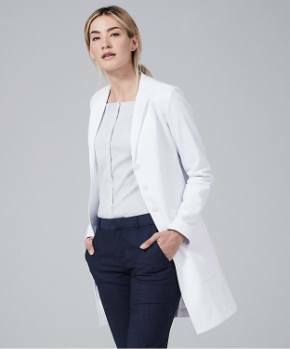 Overall, the medical apparel industry has witnessed a revolutionary transition from shapeless, unflattering, uncomfortable uniforms to garments that are functional, comfortable, and flattering enough to wear outside of the workplace.